Maryam and Marziye, imprisoned for the best part of a year in the grim conditions of Tehran’s notorious Evin prison, are anything but typical young believers. For three years they had carried on a systematic and remarkably courageous ministry of surreptitious Bible distribution all over the city of Tehran, passing out thousands of Bibles in the process, although rarely experiencing the opportunities for explicit evangelisation that they longed in prayer to have. (They also organised fellowship groups and ministered to prostitutes). Everything changed for them the day they found themselves arrested on the charge of propagating Christianity. The story of how they shared the love of Christ and prayed for dozens of women in truly dreadful conditions is utterly moving and memorable. 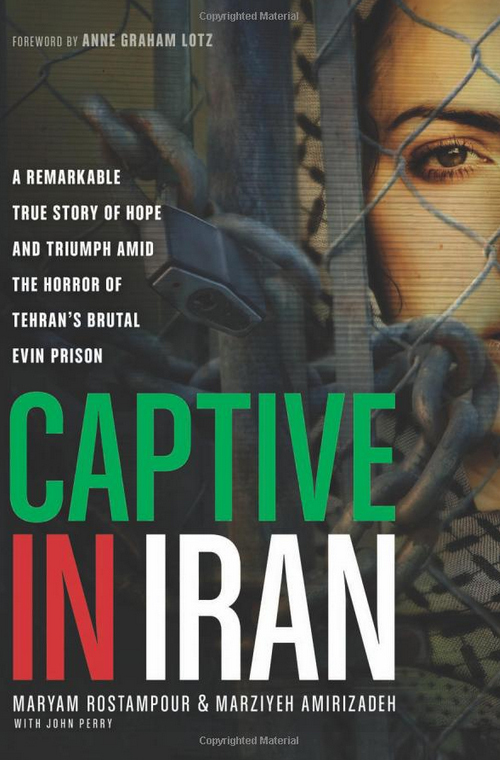 The stories poignantly exposes the immense injustices at the heart of the Islamic regime in Iran, whilst at the same time revealing the immense spiritual hunger so many Iranians carry in their hearts. This extends right into the heart of the judicial system: even to certain judges, police officers, and prison warders. We have made the bold claim before that certain parts of Iran are probably the country in the world where the faith is most ‘contagious’ – and the Lord is finding courageous men and women to take the risk of speaking out to explain to people who the Lord Jesus really is. Reading these accounts reminds me of what people like Richard Wurmbrand and Pastor Popov went through in Romania and Bulgaria. They too showed exceptional faithfulness to Jesus in the face of immense brutality at the hands of the Communists, and who were later able to raise awareness of the plight of persecuted Christians in their respective countries. I believe it would be honouring to continue praying for these resilient and spiritually articulate women now that they are living in America. May the Lord direct their future ministry powerfully, and keep them single minded and effective in the vastly different conditions that prevail there. You will not, I think, be surprised to hear that they, in a sense, miss the intense sense of the Lord’s presence that they experienced in prison. Reading the book reminded me of something else: my own skimpiness and lack of faithfulness in supporting such people in prayer. Many years ago I undertook to pray for Galina Vilchinskaya when she was sent to a Russian camp. On her eventual release all I could do was to celebrate God’s faithfulness but also to recognise how often I had been too busy with my own pursuits to remember her. May we be found faithful and full of faith in remembering those who are in extreme need of additional support and grace.